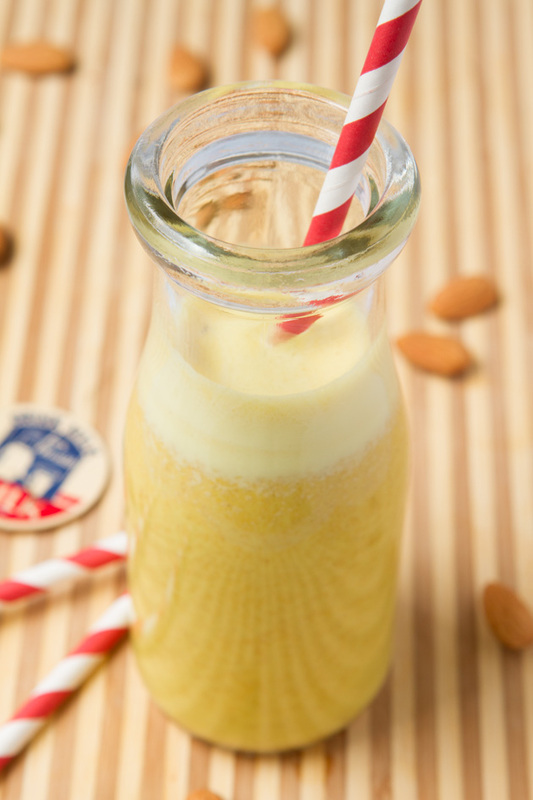 Defy age and neutralize free radicals with this dairy-free milk recipe made with soaked almonds, soft medjool dates and loads of antioxidant-rich turmeric. To soak almonds, add to a clean mason jar and cover with water. Cover and refrigerate for 12 hours. 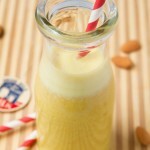 Strain and rinse almonds before using in this recipe. Add almonds and 4 cups of water to the jug of your high-powered blender. Blend on high for 1 minute. Strain with a nut milk bag by pouring the mixture through the bag into a clean bowl. Clean out the jug and transfer the almond milk back to the jug. Add remaining ingredients and blend until smooth. Transfer to a clean mason jar, cover and refrigerate for up to 3 days. Honey – can assist in the healing of infections, reduce the allergy response, heal wounds, and much more. But, if you are vegan, feel free to omit completely. Turmeric – the more you use, the better. Once you’ve made 1 batch and enjoyed it, see if you can increase to another teaspoon, and another, and another, to find your sweet spot. I like this milk with 2 teaspoons of turmeric but it may be a bit too much for people.